The skies of Texas are an aviary writ large, with more than 540 species of birds. About 500 of those can be found at the World Birding Center, a hub of nine sites lining the Rio Grande from Roma to South Padre Island. Journals and binoculars in hand, we went bird-watching. 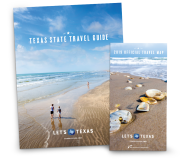 Texas is home to more than 540 bird species, or two-thirds of the species found in the entire United States, according to the “Texas Almanac.” The state’s varied ecosystems are the stuff of a bird-watcher’s dream, promising glimpses of rare nesting and migratory species. We ventured to the southern edge of Texas for the rare, beautiful and beaked. Running 120 miles along the Rio Grande, the World Birding Center is a string of nine birding sites with intimate access to more than 500 species. In a romp that spanned two days, we dipped into the riches of these protected habitats. Each site transported us to a different scene, boasting its own distinct set of rare avian species along with many overlapping tried-and-trues. We began at the westernmost site, Roma Bluffs. An overlook offered a quaint vista of the river, which alternates between a ripple and a robust rush depending on the actions of the Falcon Dam, 20 miles south. Once the port of a long-defunct riverboat, the site offers binocular-aided peeks of wildlife in the surrounding woodland. The best views, however, came from a float trip provided by the Friends of the Wildlife Corridor. From our moving vantage, we spotted specimens of the white-collared seedeater, a cute, plucky finch with a ring of white around its neck that comically recalls an Elizabethan ruff. 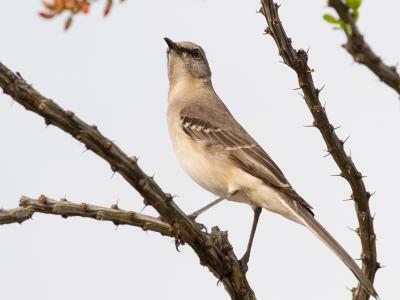 Common in Mexico, their numbers have declined in South Texas—but there were three in our view. Another uncommon catch? Two Audubon’s orioles in transit between two riverside trees. Sporting black hoods and bodies covered in school-bus-yellow feathers, the birds provided a jolt of color amid the green. And their calls sounded like drunken whistlers. 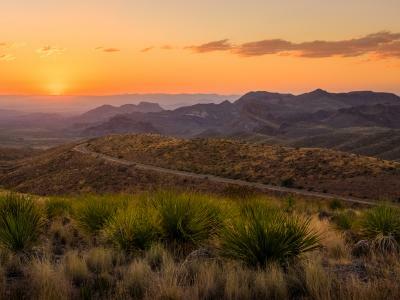 Moving eastward, we visited the center’s headquarters at Bentsen–Rio Grande Valley State Park, which featured an abundance of eye candy, avian and otherwise, over 760 acres of lush alluvial plain. After sampling a few enclosed attractions—bird blinds and a birding wall—we headed down a seven-mile trail. It was a birder’s paradise; feeding stations attracted the birds in dizzying variety. Countless green jays dazzled with green plumage and blue hoods. The plain chachalaca, another regional standard, abounded; it’s a dopey-looking thing with a long, hanging tail and a red gullet. The bird’s name is an attempted onomatopoeic representation of its call: loud, guttural and Jurassic. Less common tropicals had us scribbling in our journals. There was the hook-billed kite, a stern-faced bird of prey; the beardless tyrannulet, with a coif that looks like it was sculpted in a salon; and the clay-colored thrush, which just looks angry. Diving, soaring, chasing and feeding, they did their thing as we reveled in the biodiversity. Our final stop took us to Estero Llano Grande State Park, which covers the most varied assortment of biomes on our trip. At 230 acres, the refuge spans shallow lake, thorn forest and woodlands, and we reveled in the ensuing sights. We managed to snap photos of various migratory species that were in for the late summer. The regal endangered wood stork, with its fashionista white coat and a beak resembling a pair of scary forceps, made an appearance. But the crowd-pleaser was the roseate spoonbill, a chunky creature with pink and white plumage. Like a funhouse-mirror flamingo, it derives its color from the plankton in its diet. A group of spoonbills roved the waters for food, making calls that could only be described as Daffy Duck speaking in tongues. The World Birding Center’s other sites are just as worthy, and we can’t wait to pay them a visit: Quinta Mazatlan, Old Hidalgo Pumphouse, Edinburg Scenic Wetlands, Harlingen Arroyo Colorado, Resaca de la Palma State Park and South Padre Island Birding and Nature Center. The World Birding Center offers firsthand looks at some of conservationists’ most rousing successes. At the South Padre Island Birding and Nature Center, you might spot brown pelicans flying low over the waters. They were seriously endangered as recently as the 1970s, but efforts to halt the use of DDT and other pesticides have brought them back in big numbers.